Berghuis Construction is built on honesty and integrity - created to provide you with a builder who listens to you and cares about your needs. We will work with you to create (or recreate) your home to match your exact living and lifestyle needs. We are there through the entire building process to make sure everything - from design to completion - is done in a professional and timely manner. Whether it is a new home or the transformation of your current home we would be delighted to walk you through the construction process and assist you answering any questions you may have with site selection financing, home designing, and architectural concepts. Contact us today! 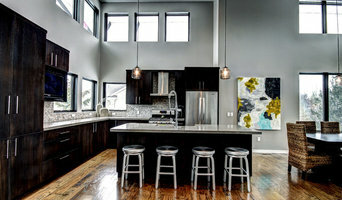 West Michigan's Honest & Reliable General Contractor| Best of Houzz! With 20+ years in construction services we can guarantee that the quality of work you get from Trimtech is second to none. The attention to detail & our flexibility is what separates us from the rest. 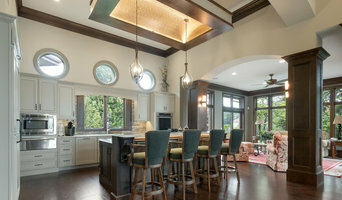 Scott Christopher Homes has over 35 years experience building new homes and cottages, performing renovations and room remodels and offering year round home maintenance. We partner with architects, residential designers, and homeowners to forge a seamless building process that allows for the possibility of on-site fine tuning as each home takes shape. We complete each home on time and on budget, with the quality of workmanship and the attention to detail that our clients have come to expect. Lake Michigan Group was established in 2017 and is an administrative, consultant company to offer products and services through its subsidiaries to reach and achieve individual & organizational goals. With over 20 years in providing construction services we can guarantee that the quality of work you get from Trimtech LLC is second to none. The attention to detail and our flexibility is what separates us from the rest. We know how you want to be treated, and we will do all we can to ensure your comfort and satisfaction with any job you need. Try us today- you'll be glad you did. Our dedication to understanding our clients’ needs leads to an unparalleled quality in the services we provide and a building experience like no other. Vander Meulen Builders is locally owned and family operated since 1924. Since inception, we have become deeply rooted in the West Michigan Community by developing relationships that extend beyond the concept of simply building homes for people. We focus on incorporating quality materials and craftsmanship to build you a home that truly reflects your personality and style. Whether you're looking to do a new build, adding on an addition, or doing a remodel to your home; you can expect us to work diligently, and respectfully, with all involved. Here at Vander Meulen Builders, we produce high-quality, unique buildings that stand apart and meet the needs of their owners for generations to come. Building homes has been at the center of our family for 7 generations. Let us build yours. With more than 25 years of experience, Patrick Murphy Builders takes pride in providing the highest quality craftsmanship, service and satisfaction to our customers. As a general contractor focusing on custom homes, additions and remodels throughout southwestern Michigan, we specialize in the building process from design to close driven by each customer’s individual needs. Patrick Murphy Builders also works in Historical preservation, we have moved 4 homes in the last 5 years, all of them between 100 to 150 years old. By carefully listening to and working with our customers, Patrick Murphy Builders delivers homes that exceed expectations. A valued partnership from the moment you walk in our doors until the moment you walk in the doors of your new home and beyond. Falcon Custom Homes is a company dedicated to providing homebuyers with an experience like no other. With over 15 years of construction experience and degrees in construction management from Michigan State, Dustin and Nathan have the skills and knowledge necessary to create the level of quality Falcon Custom Homes is known for. Falcon's key to success is constant communication between builder and client, ensuring that each individual home is tailored exactly to the needs of the homebuyer. It's this approach that has helped make Falcon the company it is today; one that provides not just a home, but an experience. I am licensed builder in the state of Michigan. My specialty is home remodels and custom trim work. With 30 years experience, I can provide all of your new building or home renovation needs. I would be happy to provde you with an estimate for your project. Every home is unique and exceptional, almost as unique as each and every homeowner. When we evaluate the performance of your home, we utilize an extensive homeowner interview that helps us to understand your concerns, your budget, your lifestyle, and what you want to achieve by working with us. Though we have a highly refined and polished process that involves diagnostic equipment and a scientific method of analysis, we guarantee that your experience will be custom tailored to fit your concerns and priorities. 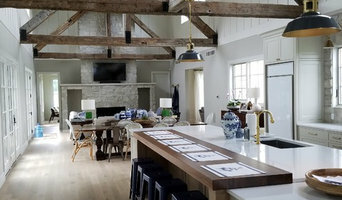 Whether you’re looking for ways to increase the functionality to your current space or want to build a custom home, consider partnering with JBJ Building & Remodeling Inc. As custom home builders, we help our clients’ dreams come true by managing every aspect of their project from start to finish. And as experienced home remodelers, we help homeowners enhance the beauty, functionality and value of their living spaces. We're a small, locally owned company, so you'll work directly with our owner, Jamie Simmons. He will help breathe life into projects you’ve only dreamed about. From custom tile work and bathroom remodels to kitchen upgrades and home additions, JBJ Building & Remodeling Inc. can handle any size project you send our way. Call 616-862-8778 today for your free estimate! Through careful consideration of your home needs and lifestyle, we can design and build your dream home to fit your needs accordingly. You'll notice the difference in a Platinum home right away. We go above and beyond what is expected to ensure every desire you have is exceeded. Platinum Development Builders has created a superior network of subcontractors to assure that quality workmanship and service is delivered to each of our clients. Our experts in the field can offer valuable insight during construction process, making your home affordable, yet personal. 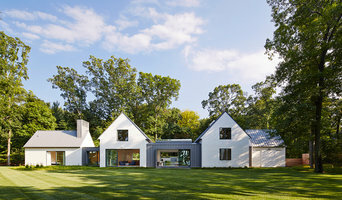 A West Michigan builder focusing on new homes and renovations. Specializing in green building and creative solutions to meet your needs. At Lown Homes we are committed to providing exceptional customer experience through our Custom Built Homes and Remodels. If you're on the brink of a large home improvement project, remodel, or new build, you'll likely want to hire a general contractor in Holland, MI. These professionals manage all aspects of the job to ensure it's completed on schedule and to your satisfaction. Whether you’re trying to find Holland building contractors for a new construction, or home improvement contractors to spruce up your existing place, it’s important know exactly what role they will play in the project. Read more below for a list of must-ask questions. General, or construction contractors, are often known as project managers. They oversee the entire remodeling or new home construction project and facilitate all day-to-day tasks that move it toward completion. A Holland general building contractor will work with your architect to review plan as you build a house and ensure everything is in place before work is started as well as arrange for permits and necessary inspections. While good local home improvement contractors in Holland will have the skills to handle certain tasks onsite, such as carpentry, he or she is also responsible for hiring subcontractors for the majority of jobs, such as electrical work, painting or plumbing. In addition, the general contractor should be on-site regularly to inspect the progress and resolve issues. Here are some related professionals and vendors to complement the work of general contractors: Architects & Building Designers, Interior Designers & Decorators, Landscape Architects & Landscape Designers, Kitchen & Bath Designers, Specialty Contractors. Home remodeling contractors are a must for successful completion of a renovation. Because of this, it's essential that you do your homework before deciding on the right general contractor in Holland as you remodel or build a house. Inspect bids carefully. Was it ready when the contractor promised it? Was the bid for building a home unusually high or low? Each of these things can be very telling: A late bid may reflect timing standards, and an off-the-mark bid could be code for a pricey premium or a deliberate underbid to score the remodeling job. You should call references, carefully read reviews and visit completed projects in Holland, MI to see if they’re what you expect for your job. Once you do secure your local Holland contractors, read the contract very carefully to be sure everyone is on the same page. Find a Holland contractor on Houzz. 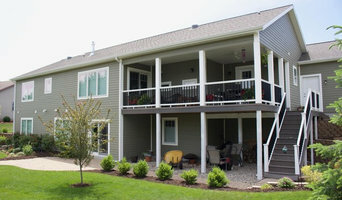 Narrow your search in the Professionals section of the website to Holland, MI home contractors. You can also search for photos in Holland, MI and contact the Holland general contractor who worked on the project.